If he had still been alive, comics legend and creative genius Jack Kirby would have been 100 this month, so to celebrate a centenary of ‘The King’, the To Watch Pile is going to commemorate his creative output with a selection of reviews of Kirby’s creations that have made it to screen. Thank you, Jack Kirby, for the amazing characters you created or co-created: Captain America, the Fantastic Four, Iron Man, Ant-Man, Etrigan the Demon, Darkseid, Groot, Kamandi, OMAC, etc etc. The comics community became a lesser place with your passing, and we owe you everything. Film: You think it wouldn’t be hard, and yet for some reason, production companies seem to find it difficult to do 100% of the time. I don’t get how writers or directors of films based on comics (or books for that matter) can have a problem making a good superhero movie, and I especially don’t understand how someone can take an established franchise like the Fantastic Four, the cornerstone of the entire Marvel Universe, part of Stan Lee and Jack Kirby’s literary and artistic legacy, and screw it up. Do I really need to go to far into the origins of the comic? Maybe a brief word: the original FF comic told of a scientist, Reed Richards, his pilot friend Ben Grimm, his girlfriend Sue Storm and her brother Johnny who steal a rocket to go into space but the experiment backfired, and the four of them end up with superpowers which they use to further their experiments, explore alternate universes and of course, fight against villains who may step in front of them, like Mole Man, Namor and Doctor Doom. This film takes the core elements and both updates it socially and scientifically which is a great idea. 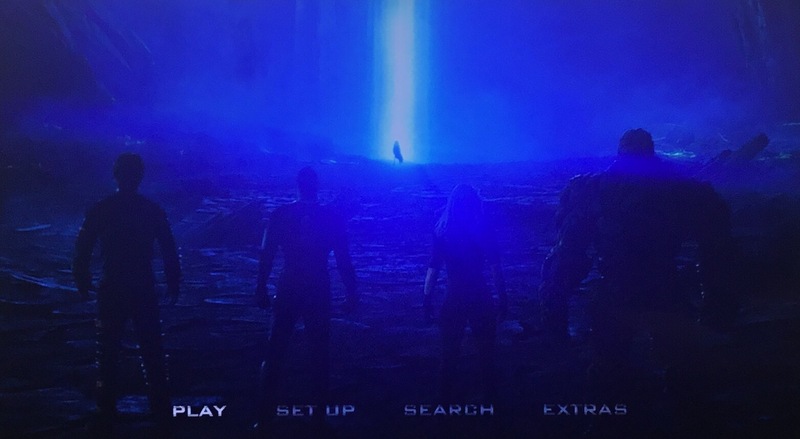 In this film, Reed Richards (Miles Teller) has discovered, as a teenager, a way to send things to an alternate dimension. 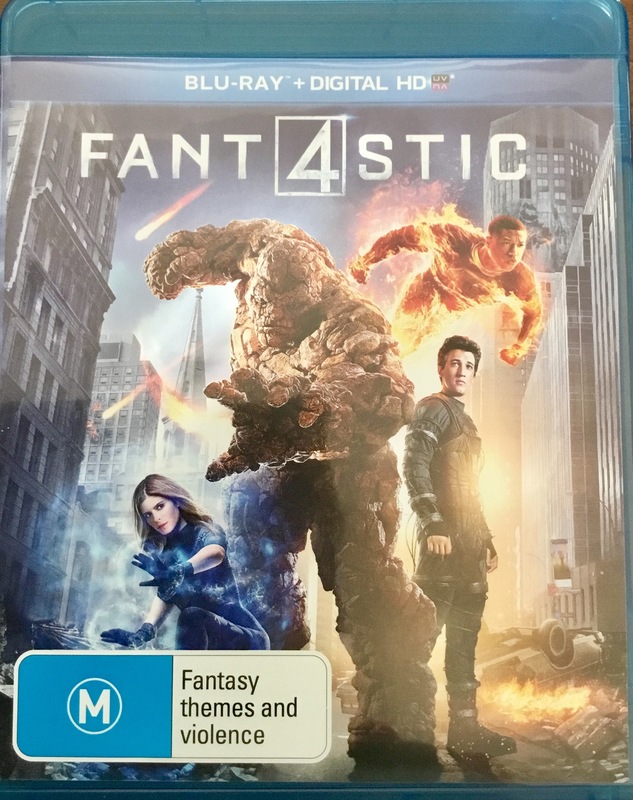 He and his friend Ben Grimm (Jamie Bell) enter the device in the school science fair where they are visited by Dr. Franklin Storm (Reg E. Cathey) and his adopted daughter Sue (Kate Mara) who take Reed as a student at his school/ think tank as he has solved a problem they had with creating a dimensional gate. They are almost completely finished the gate, with the help of Storm’s natural son Johnny (Michael B. Jordan) and ne’er do well Victor Von Doom (Toby Kebbell) when the group funding the project decide to hand it over to NASA before they can send a human occupant. Johnny, Victor, Reed, who insists on bringing Ben, get drunk one night and decide to use the device first, but it has desperately horrible results. First the planet in the other dimension starts to fall apart, and Doom is lost, and upon the return home, the rest of them, including Sue who is still on earth, are irradiated by the alternate dimensions energy, and they end up with powers: Sue can become invisible, Reed can stretch to impossible lengths, Johnny can set himself on fire (and is resistant to it) and Ben has become a horrible stone creature. The government starts experiments on them and using them for secret missions, but not before Reed escapes, trying to find a cure for their ‘diseases’. He is recaptured and they return to the other dimension where they find that Doom is now in complete control, and wants to destroy Earth…. It will the FF over come Doom’s evil scheme? I’d like to compliment this film on a couple of things. The production design is fantastic. The whole film looks ‘realistic’ and even the alternate dimension looks like something real, and not an over coloured, over saturated CGI experiment gone crazy, like in Doctor Strange for example. Another thing I liked about this film was it treated a Fantastic Four story as a story about science and exploration, and not about superheroes. If the FF never had gained superpowers, they still would have been scientists and explorers, and that is the core of the group. I liked the fact that even though this is a Marvel comics film, it’s not a Marvel Cinematic Universe film (it’s not produced by Disney, is why) which means that it doesn’t have the weight that all Marvel films have now. You miss one Marvel film and half the time you won’t know what’s going on or who some of the characters are in the next one, which is a clever way to make sure consumers inhale all your products. This you can sit down and watch and walk away from… and you probably will. The last thing I like about it was the modernising of the family dynamics, in having Sue being a Caucasian adopted into an African American family is barely even dealt with, and that was cool. I have no real problem with characters having their ‘race’ changed if there is a story device to it, and not just for social constructs and approval. In actual fact, I don’t care about a person’s race in playing a character as long as they play it well. Did this part of the story need to be updated for today? Probably not, but it works. A little bit of updating is fine, but another issue I have with some comic movies is the need to adapt the villain into the heroes origin. I didn’t like it in Tim Burton’s Batman, and I don’t like it here where Doctor Doom was merged into the FF’s origin, much like they felt the need to do in the previous incarnation of the characters. What is really frustrating is that with the change here with pan-dimensional travel, the door was open to use a completely different villain from the FF’s history, Annihilus, instead of retreading Doom’s ground. The problem with this film though is the pacing. The build up should be slow and deliberate, which for either a first film in a franchise or a science fiction film is ok as the ‘physics’ of the universe in which the main characters exist needs to be established, but this build up needs to have a powerhouse payoff… unfortunately FF doesn’t only have weird pacing throughout the film, with a lot of false starts, it also just… stops. The big battle against the antagonist just finishes with no real payoff: it feels like they ran out of money or something and just said’ yeah, that’ll do, pack it up’, which is sad because there is SO much potential. I feel this film commits the worst crime a film can commit: it’s a missed opportunity. Format: This film was reviewed on the Australian region B Bluray, which runs for approximately 100 minutes and is presented in an impeccable 2.39:1 video with a matching DTS-HD Master Audio 7.1 soundtrack. Extras: A few extras on this disc. The disc opens with an auto play of a trailer of Maze Runner: The Scotch Trials, before going to the main menu. Powering Up: Superpowers of the Fantastic Four shows the effects of the powers of all the FF, and how the accident caused all their powers to manifest differently. Basically it explains outside the confines of the film why they all got different powers. The Quantum Gates looks at the special effects development of the portal to the other dimension. Planet Zero sees how the cats and effects people made a convincing alternate dimensional world. The Score interviews director Josh Trank and composer Marco Beltrami about the soundtrack for the film. There is also concept art for Planet Zero and the Quantum Gates but if I want to look at still pictures, I’ll buy a book. No sale. WISIA: I like the look of this film, but the pacing is all over the place and it just doesn’t sit well. If I watch it again it will be just for the production design and Kate Mara.